That my baby girl is old enough to play basketball! 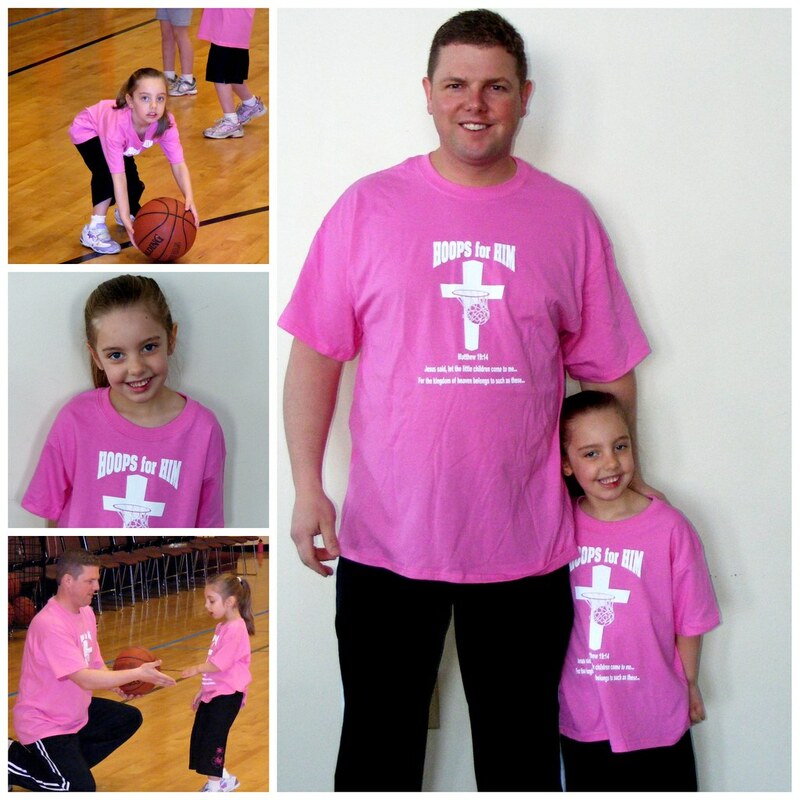 This is her first year participating in our church's Hoops For Him Program. Shawn is the coach of this adorable team filled with 5 & 6 year old little girls. Don't you agree that he deserves the Great Daddy award for willing to wear pink, just for his baby girl!! 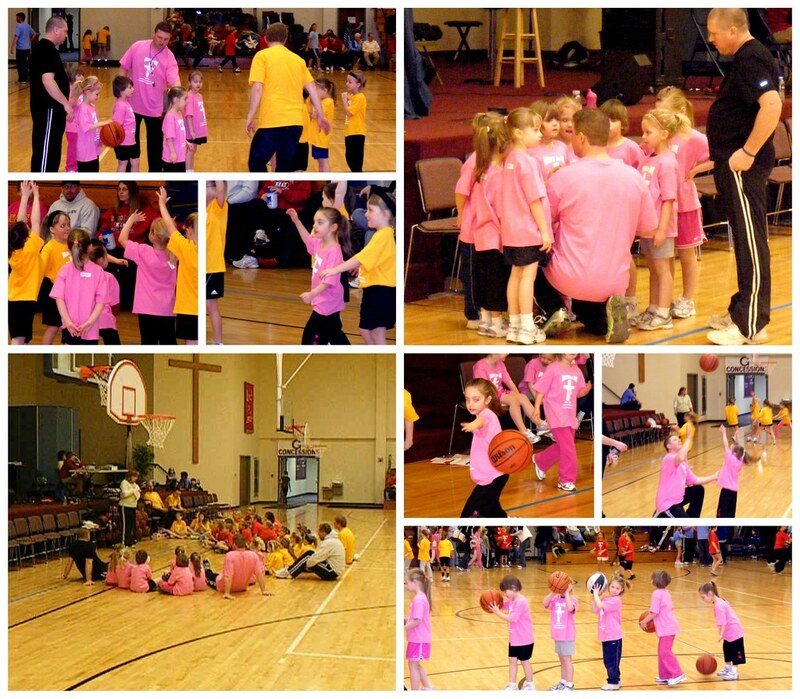 The Hoops For Him program is an outreach program of our church. It is not only designed to teach basic basketball skills to the children but more importantly how they can have a personal relationship with Jesus Christ. I was wondering how Grace's team would do. They only had 2 practices because of the horrible winter weather we have experienced this year. Grace only got one practice. She missed one while we were in Disney. Thankfully Daddy has been practicing with her in the basement. I was so proud of her! She didn't seem to be nervous or shy out there. She had her Defense down!! She knew who she was guarding and stuck to her like glue. Now we just need to practice a bit more on her offense. Our next game is this coming Saturday. GO PINK!!! !